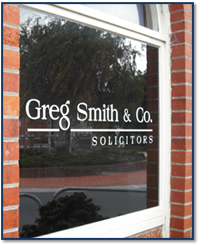 Greg Smith & Co takes pride in our client to solicitor relationship and is dedicated to our client’s best interest. Here at Greg Smith & Co, we practice in the areas of Conveyancing,Wills & Estates, Commercial Law, Leasing and Family Law. We travel to King Island on a regular basis and scheduled visits are advertised in the King Island Courier. We are available to make house calls if required. As a small Tasmanian law firm, we are able to gain a thorough local understanding of our clients’ needs. Our clients range from individuals to medium businesses and corporations. » To learn more about our firm’s skills, please visit our practice areas page or simply contact us to arrange a meeting with a highly qualified lawyer for your legal matter.